Visit our blog or contact our matching specialists to learn more about our Bulgaria adoption program! Bulgaria, home to nearly 8 million people, is located in Southeastern Europe on the Balkan Peninsula bordering the Black Sea. It has existed for over 13 centuries, and is now a member of the European Union, NATO, and the United Nations. Its neighbors include Romania to the north, Serbia and Macedonia to the west, and Greece and Turkey to the south. Known for beautiful climates and landscapes, from the deep, blue-water beaches of the Black Sea to the snow-capped Alpine peaks of the Balkan Mountains, Bulgaria is an often overlooked tourist destination of Europe. It even hosts 9 UNESCO World Heritage sites throughout the country, ranging from ancient tombs to pristine national parks. 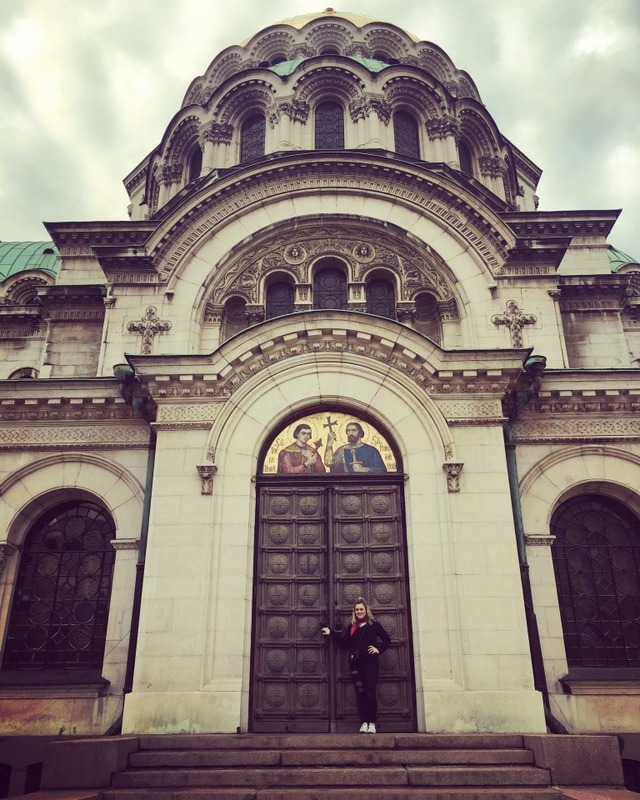 Nestled in between several picturesque mountain ranges and boasting elegant architecture, Sofia, Bulgaria’s capital, is home to 1.2 million of the country’s people and is a key city in the global economic system. 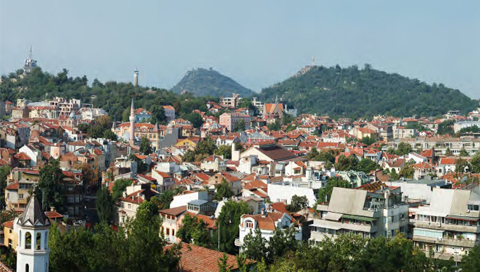 Although the national language is Bulgarian, thanks to its tourism, a fair amount of the population speaks English, especially in large cities like Sofia and tourist-filled areas. Bulgaria is party to the Hague Convention, and adoption is governed by the Ministry of Justice. Americans adopted 160 Bulgarian children in 2013, 125 Bulgarian children in 2012, and 75 children in 2011. The number of adoptions each year is quickly rising as the Bulgarian government has streamlined its inter-country adoption process to better serve the country’s orphaned and abandoned children. CAN expects 2015 to be a great year for helping many Bulgarian children find their forever families! If you would like more information about our Bulgaria program, call an adoption consultant today at (512)323-9595 or send us an email. 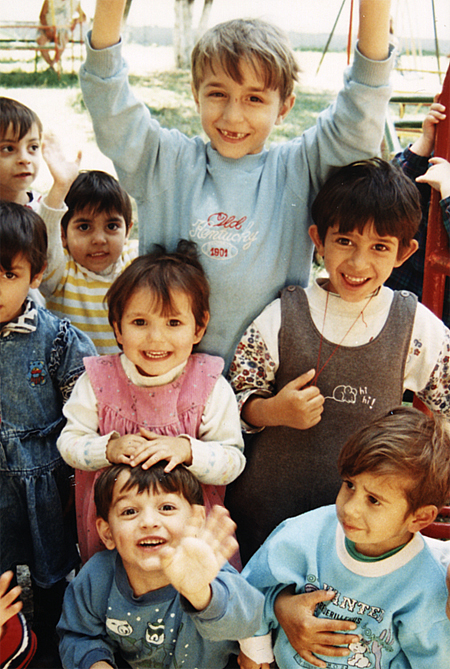 The children available for inter-country adoption in Bulgaria are between 2 and 15 years old. However, the wait time increases, the younger the age of the child at referral. Special needs and older children, as well as sibling groups are also desperately in need of loving homes and matching times are faster for these groups. Children may be eligible for adoption due to being orphaned, relinquished by their parents, or abandoned for reasons of poverty, domestic violence, a stigma of single parenthood or mental/physical disabilities of their parents. If you would like more information, please give us a call today at (512)323-9595 or send us an email. Special needs and older children, as well as sibling groups are also desperately in need of loving homes. The special needs of the children available in Bulgaria range from minor to severe. Files of the children in the Waiting Child program are released every 2 months to agencies to advocate for the children and search for their forever family. We are provided two months to advocate and place the child. If we are unsuccessful in placing the child, their file is returned to the Ministry so another agency in turn search for their family. Families may be matched with special needs children before their dossier is complete. They can have a broad range of special needs, from limb differences and ocular issues to global developmental delays. The number of files available and the age range, gender and special needs of the children will vary per with each distribution. Families interested in participating in viewing the children available will need to have requested a guide and instantly received a password from CAN. Completing this form will provide your family with a password and provide us with information to review files on your behalf in search of a good match. Initially, a photo and short summary of the child are available for review in the password protected site. Families may request a more detailed file review for a child through the website. Families who are not currently in process with CAN who wish to move forward with the request to adopt a specific child will make an initial application for that child to the Ministry. If accepted, a dossier must be submitted within 6 months. For more information concerning Bulgaria’s waiting children, please call us at (512)323-9595 or send us an email. A child is identified through a special needs listing either pre or post dossier submission. Once identified by the family through CAN, an application to adopt is submitted to the Ministry of Justice. If approved, and a dossier has not been submitted, you will complete and submit a dossier within 6 months. If you already have a dossier in place, once a child is identified by the family through CAN, an application to adopt is submitted to the Ministry of Justice. Once your dossier is approved by the Bulgarian government, you will then receive an invitation to come to Bulgaria, meet your child and accept your referral. Once the referral is accepted, the Ministry of Justice will approve the adoption and forward your case to the court. Once your dossier is approved by the Bulgarian government, you will be placed on a registry of adoptive parents wait list according to your age preferences for a child. Then the Ministry of Justice in Sofia, Bulgaria will identify a child based on your preferences for gender, age and health status. You will then receive an invitation to come to Bulgaria, meet your child and accept your referral. Once the referral is accepted, the Ministry of Justice will approve the adoption and forward your case to the court. In addition to the USCIS eligibility requirements for prospective adoptive parent(s), Bulgaria has the following adoption eligibility requirements. If you feel you are not eligible to adopt from Bulgaria, or you are unsure, please contact us for a free case-by-case consultation regarding your adoption. Citizenship: One adoptive parent must be a U.S. citizen. Age: Adoptive parents must be at least 15 years older than the adoptive child. There is no longer any upper age limit required for parents although CAN reserves the right to verify the match is appropriate. The Central Authority prefers the older parent be no more than 55 years in age difference than the adopted child, however extra flexibility on age is given when the adopted children are in a sibling group and/or have special needs. Previous Children: No more than 4 children already in the home. Again, this is a rule in which extra flexibility is given when the adopted children are in a sibling group and/or have special needs. Marriage Status: Married couples are eligible to adopt. There are no prior divorce restrictions. Single parents are eligible to adopt children of either gender. Income: There is no minimum income required. However, you need to meet the income requirements provided by USCIS for the child to immigrate. Medical History: There are some medical restrictions. If you have a medical condition, please contact our adoption consultant to determine your eligibility. Criminal History: Applicants with a criminal history of child abuse, violence or domestic violence are not eligible to adopt. Bulgaria adoption eligibility requirements are subject to change per Bulgaria’s adoption laws. CAN updates these guidelines as necessary. If you would like more information about our program, call an adoption consultant today at (512)323-9595 or email us. The time frame to complete an adoption from Bulgaria greatly depends on the age of the child you wish to adopt. Essentially, if you would like to adopt an older child or a child with special needs, you will experience a shorter wait time for your referral. For a family to receive referral of a healthy child between 2 and 5 years of age, the waiting time is up to 6 years or longer. For healthy children between 5 and 7 years of age, the waiting time is approximately 6 years. For a family to receive a referral of a healthy child age 7 or more, please consult with CAN on current availability and wait times. To adopt a child, please complete our agency application. For your convenience, you may access the application online. We will promptly review your eligibility to adopt from Bulgaria once we receive your application. If approved, we will provide you with our agency contract that outlines our fees, services and important information regarding the Bulgaria adoption process. Upon receipt of your signed contract, CAN will start to provide you with placement services for children from Bulgaria. Once your agency contract is in place, it is time to get started on your dossier. This will include a home study to assess your readiness for international adoption from Bulgaria and help prepare you for adoptive parenthood, filing with USCIS for international adoption approval, and gathering your necessary dossier documents. These dossier documents must go through the appropriate notarization and authentication processes. CAN offers a complete Dossier Preparation Service to ease your international adoption and give you peace of mind. To ensure that prospective adoptive parents are prepared for their international adoption journey, our agency requires that parents complete 10 hours of adoption training as mandated by the Hague Convention. To satisfy these hours, we have developed an online parent training program that we are proud to include in CAN’s service plan. For an overview of the program, please click here. Please contact us for more information regarding adoption from Bulgaria. A child may be identified in two ways – either by the Ministry of Justice after dossier submission through the Traditional Program or through the Waiting Child Program pre or post dossier submission. You will be required to make two trips to complete the adoption process. Each trip is approximately one week, and you must spend at least 5 days with your child during the first trip, as well as travel to the orphanage where your child lives, speak with the orphanage caretakers, and accept your referral in person. During both trips, you will be guided by one of our experienced in-country representatives. After you’ve accepted the referral, and the court process is complete, you will return to Bulgaria for your second trip to finish the visa process, finalize your adoption, and bring home your child. CAN and our Bulgarian representatives will assist you with your travel preparations, scheduling your flights and arranging accommodations. We will also ensure that, again, while you are in Bulgaria, an experienced guide will be with you every step of the way on your adoption process. Bulgaria requires that you submit four post adoption reports at 6, 12, 18 and 24 months following your return home from Bulgaria. These reports demonstrate to the Bulgarian government the benefits of international adoption for their children. CAN’s post-adoption staff will guide you through the post-adoption process. The children in the orphanages in Bulgaria received very good care and we have up to date files on them. The nannies and caretakers are very close to the children. The children receive regular doctor visits and there are hospitals nearby for additional medical care. The children begin attending school once they are 6 years of age. Our in-country representative can travel to the orphanages at times to retrieve additional information on the children. Adoptive Families, the online adoption and parenting guide, has provided trusted adoption information and inspiration to families for over 30 years. Children of All Nations is here to answer your questions, and we love feedback! Fill out this form and we'll get you the answers you're looking for!